Annual event organised by CAAB (Campagin for Accountability of American Bases) held outside Menwith Hill US spy base, Yorkshire, England. 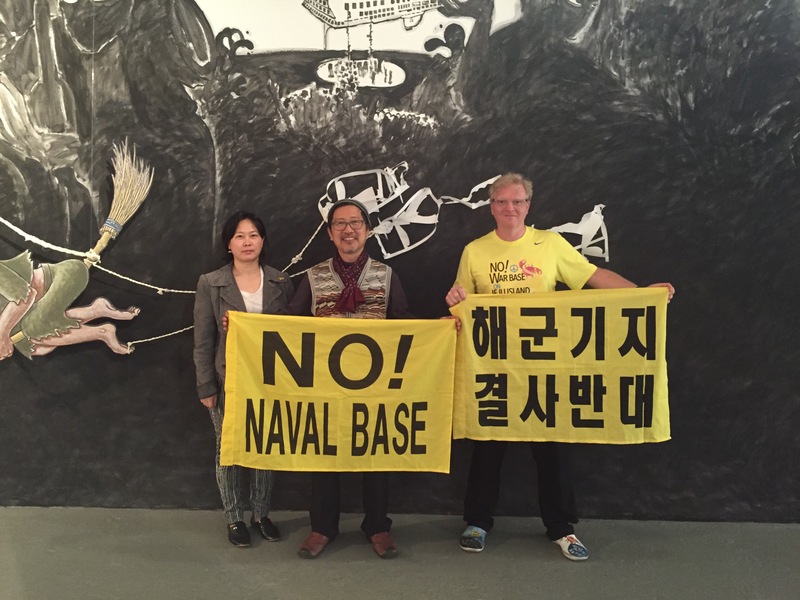 After the screening of Reiterations of Dissent, a very interesting discussion on the building of the naval base in Gangjeong village, Jeju Island, South Korea took place. 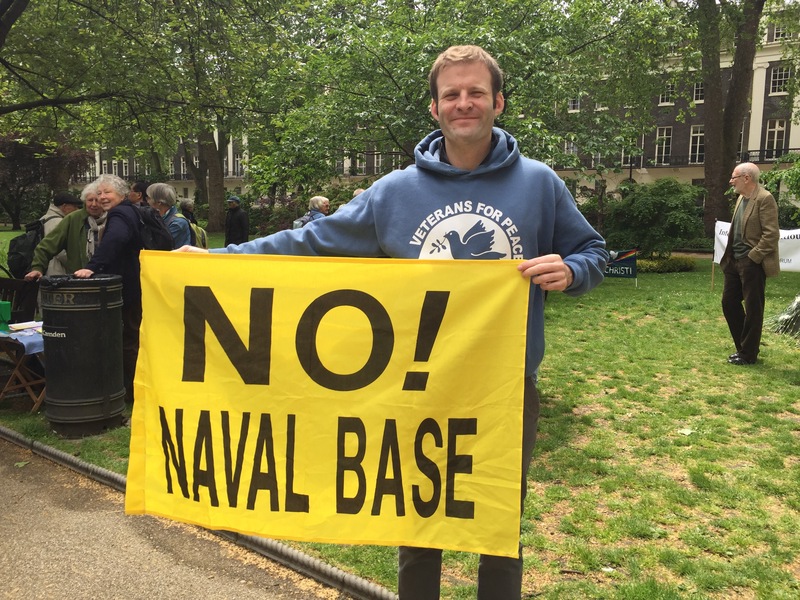 Ben Griffin, ex-SAS officer and founder of Veterans for Peace UK at the International Conscientious Objectors’ Day, 15 May 2015. 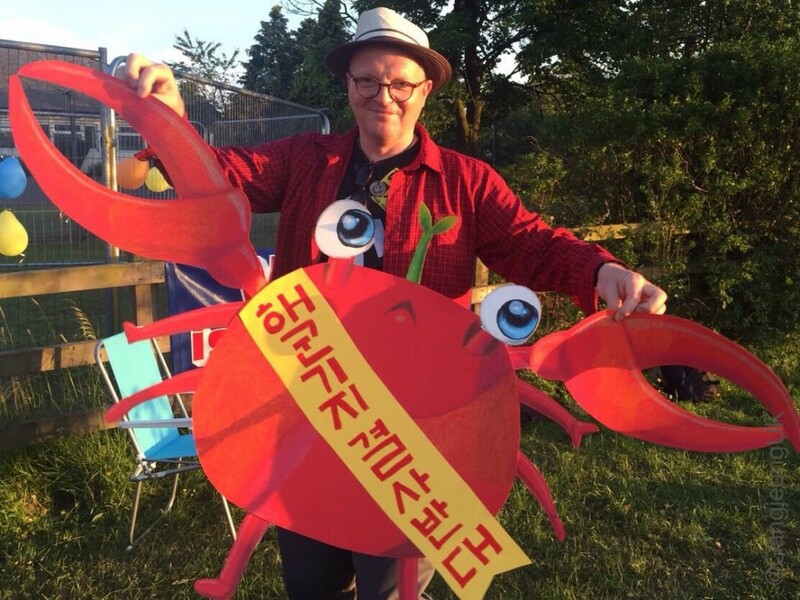 Thanks for showing support for the anti-naval base resistance in Gangjeong villagers, Jeju Island, South Korea. Ben said he just recently watched Regis Tremblay’s film ‘the Ghosts of Jeju’. 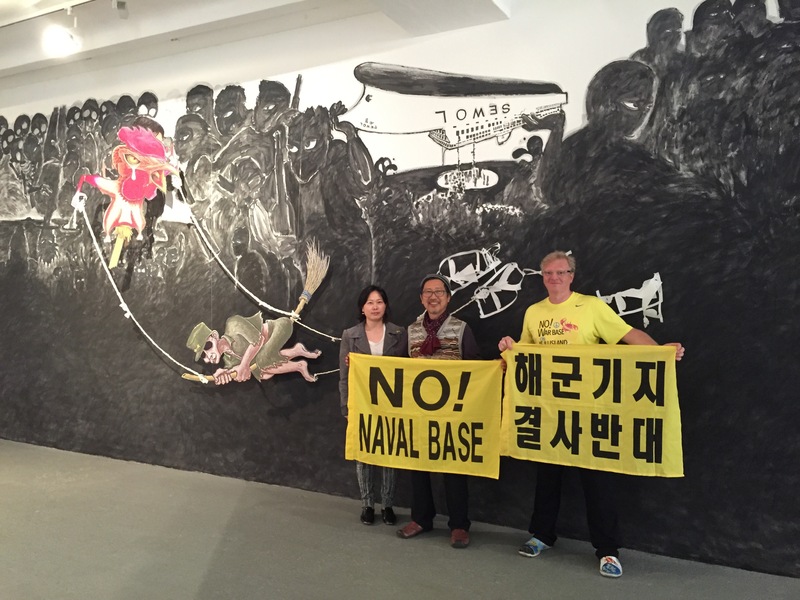 On 17 April 2015, artist Hong Sung-dam holds the flag to show his support to Gangjeong villagers in front of his impressive artwork. It had to be recreated before the exhibition in Berlin as the Korean courier refused to deliver his artwork due to its ‘political’ nature. City – Brick Lane – Hackney – Victoria Park – Docklands – Wapping -St Katherines Dock – Tower Bridge. The first of two London bike tours to spread the message of peace from Gangjeong village, Jeju Island, South Korea. London West End: Trafalgar Square – Buckingham Palace – Hyde Park – Abbey Road (Beatles crossing) – Regents Park – Covent Garden – Trafalgar Square.